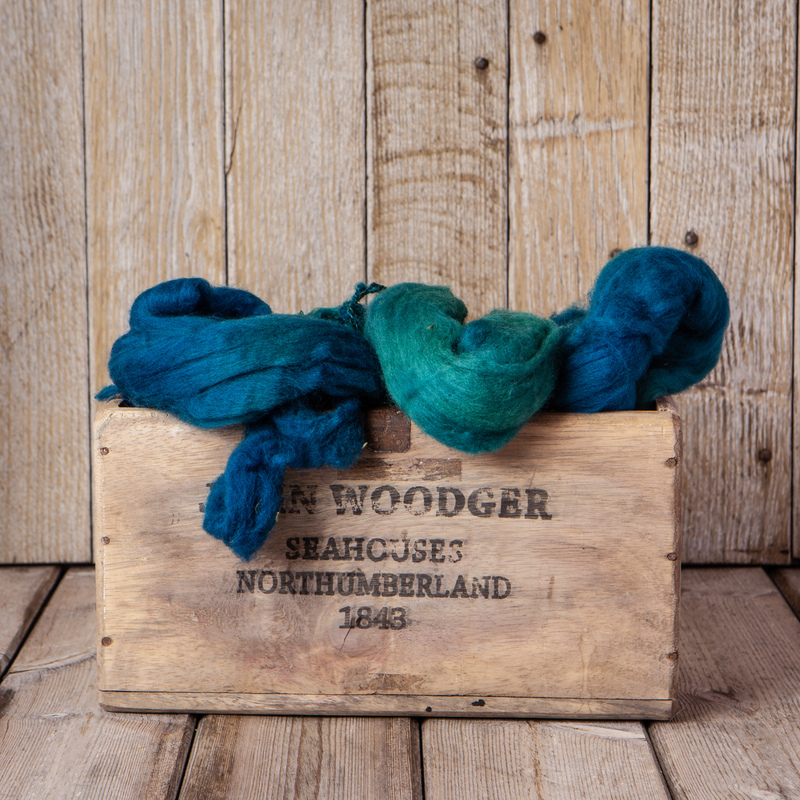 Dye the vivid , subtle and rich colours of the natural world using the heat of the sun , a truly eco way to colour fibres. Layer the dyes and the fibres for a multicoloured result . 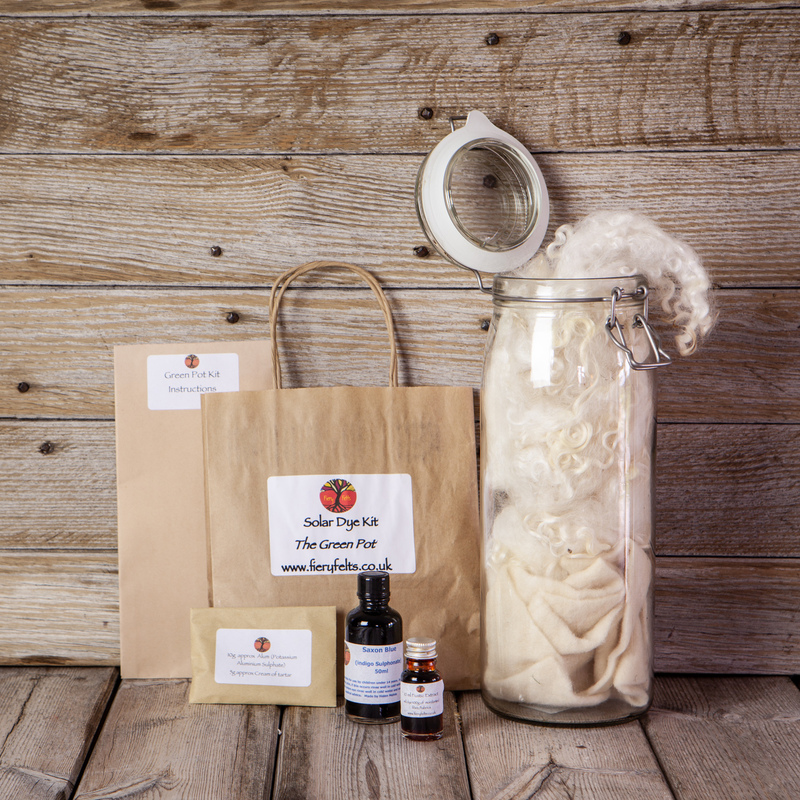 The Kit consists of dyes, Full Instructions, a 2.1 litre Kilner Jar and a mix of exciting fibres for either the felt maker or the hand spinner. The fibres in the kilner jar are made up of 60g of 18.5 micron fine) Merino and Silk, a silk cap/mawata cap 15-25g of raw silk, Silk piece of fabric either chiffon or light habotai about 5 gm weight, 7.5 g approx of textured raw silk, 30 g ( approximately) of Gotland /cotswold fleece grown locally in North Wales, and a piece of pre felt approximately 7g in weight.